Atul Gawande is a doctor who has written extensively on the business of doctoring. He has written articles for the New Yorker, books on doctoring, and had an Op-Ed in the NYT today. Before Christmas Mrs. Bonzo was bugging Mr. B. over a recent article of Dr. Gawande's that appeared in the New Yorker on the subject of using a checklist in intensive care units and what a great positive effect it had on the practice of medicine. Mrs. B. volunteers in a clinic and believes very strongly that use of such a checklist would be of great benefit. Now Mr. B. is lazy and also thinks that Dr. Gawande has a huge stick and big clout in the medical profession. If a matter came to his attention and he wrote about it, people would sit up and take notice. After all, he is a certified genius. But no such luck. Today's NYT piece is on the same subject and things are apparently not going so well. The government’s decision was bizarre and dangerous. But there was a certain blinkered logic to it, which went like this: A checklist is an alteration in medical care no less than an experimental drug is. Studying an experimental drug in people without federal monitoring and explicit written permission from each patient is unethical and illegal. Therefore it is no less unethical and illegal to do the same with a checklist. Indeed, a checklist may require even more stringent oversight, the administration ruled, because the data gathered in testing it could put not only the patients but also the doctors at risk — by exposing how poorly some of them follow basic infection-prevention procedures. The need for safeguards in medical experimentation has been evident since before the Nazi physician trials at Nuremberg. Testing a checklist for infection prevention, however, is not the same as testing an experimental drug — and neither are like-minded efforts now under way to reduce pneumonia in hospitals, improve the consistency of stroke and heart attack treatment and increase flu vaccination rates. Such organizational research work, new to medicine, aims to cement minimum standards and ensure they are followed, not to discover new therapies. This work is different from drug testing not merely because it poses lower risks, but because a failure to carry it out poses a vastly greater risk to people’s lives. Excellent clinical care is no longer possible without doctors and nurses routinely using checklists and other organizational strategies and studying their results. There need to be as few barriers to such efforts as possible. Instead, the endeavor itself is treated as the danger. Scientific research regulations had previously exempted efforts to improve medical quality and public health — because they hadn’t been scientific. Now that the work is becoming more systematic (and effective), the authorities have stepped in. And they’re in danger of putting ethics bureaucracy in the way of actual ethical medical care. The agency should allow this research to continue unencumbered. If it won’t, then Congress will have to. Mr. B. knows many good docs at work and they are very busy and stressed people. They need all the help they can get. Thank you for calling this to the attention of people, Dr. Gawande. Kyle Okposo left the University of Minnesota hockey team in mid-season to join the New York Islanders. Said the Islanders general manager, Garth Snow: "Kyle is the complete package. He has skill and character in abundance." Just not in immediate evidence. "They have a responsibility to coach, to make Kyle a better player, and they were not doing that," Snow told the Star Tribune. "He just wasn't getting better — bottom line. And to me, that's the frustrating part. We entrusted the coach there to turn him into a better hockey player, and it wasn't happening. We feel more comfortable in him developing right under our watch." And a Merry Christmas from New Orleans! The Bonzos are here visiting Mr. B. 's sister, who currently lives in DC, but was a long time NO resident. Her son and daughter are in town for the holidays. Last night we had the traditional red and green Christmas Eve dinner, then church at Trinity. Today is the Christmas gathering of the clan for turkey at Dave's - the father of the Bonzo nephew and niece. So far we have pigged out as only can be done in New Orleans, where it is difficult to find a bad meal. On a day in the country we hit a couple of plantations and a fancy house. We stopped at a very modest–looking roadhouse for lunch & were treated to huge steaming platters of outstanding gumbo that featured homemade andouille (an-DOU-ee) sausage. 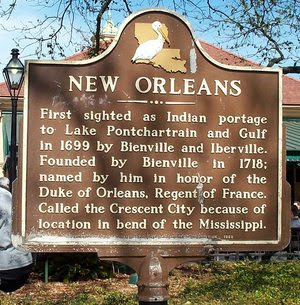 The waitress was a pretty young girl who spoke French-inflected English, a remnant of the Acadians from Canada who settled here in the 18th century. The rightly-painted creole plantation was very poignant & had the original slave quarters in the back. These shacks were lived in by farm workers as recently as 1974. The plantation that was more traditional in appearance – enormous white house w/ columns in front & two stories of porch around three sides – was a gas. It was owned by a single guy who loved his dogs, to the point of staging a “dog wedding” as a housewarming, complete w/ wedding gown for one, little tuxedo for the other, & peanut butter applied to each muzzle to ensure a post-vow “kiss.” Mrs. B. is a fan of house museums and may even do her next book on them, so she trots Mr. Bonzo around to view them every chance she gets (this is usually fun). We visited a friend of Mr. B's sister who has recently moved into a new (to her) house after her former house was totally wiped by Katrina. She is now living in a nice house that had to be stripped to the studs & is still being restored. An acquaintance of her son drove down from Nevada with a U-Haul full of furniture to help stock the house. The neighborhood she has moved to is about half occupied, but has the appearance of being on the way back to normalcy. We took a Grayline bus tour of the hurricane damage & saw other areas that were still very desolate, including acres of concrete slabs where once stood houses & apartment blocks, plus empty shopping malls, churches, gas stations & even an abandoned library. One of the houses had the title of this post spray painted on it. We saw hundreds of houses with the x'd out circle and notations indicating when the house was visited during rescue operations & what they found there – “Dog inside” or “H2D” (two humans dead). Chopped out roofs are still to be seen as well as many burned out and abandoned houses. But on the whole the city looked very tidy & there were no huge piles of trash. Some houses were decorated quite lavishly for Christmas. Mr. B. is friends with a couple who are, respectively, the chairs of the chemistry department at Xavier and the University of New Orleans. They were forced to evacuate and relocate as a result of Katrina, but they have both moved back. 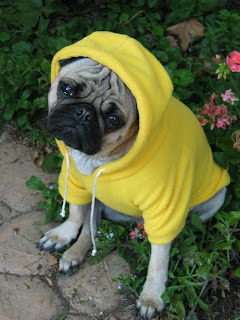 Unfortunately, Dave was the victim of an attempted armed robbery a couple of days ago. This happened at 6 am in front of his home. So, it can still be pretty dangerous here. But the city has an unquenchable spirit & recovery is well on its way, which was very good to see. Mr. B's nephew has recently graduated from law school, passed the bar, and is currently working for an admiralty law firm. His education was interrupted by Katrina but he was fortunate to be taken in by the Georgetown law school for a term. He is committed to making his life in New Orleans and has even managed to talk his girlfriend into coming down to NO to go to grad school. Life goes on. Best to all. Because of the submarining readership of the Star-Tribune and the low visibility placement of OurLeader's remarks on Monday morning, Bonzo, in the spirit of fair play, offers the following as a public service. I believe more today than I did five years ago that the University of Minnesota is the most important institution in the entire state of Minnesota. It is absolutely the state's competitive edge in the global economy; it is better today than it was some years ago; we have the right plan and the right ideas in place to make it much better. To get there, you need some kind of predictable state support. You can't have the feeling year after year that you are on your way to Valley Fair, and you're going to take the roller coaster ride. You have to have some kind of consistency. In a global economy, you play to your strengths and comparative advantages. There are states all around us who looked at our biomedical sciences idea [see editorial on facing page] and adopted it, and have put hundreds of millions of dollars on the table (to support it), and they do not have the life sciences/biosciences industry in their back yard the way we do. For the first time in modern history, Minnesota's economic indicators are lagging the national ones. I think it's a real problem. To grow jobs, you've got to invest in human capital and innovation. Over the last 40-50 years, the private sector has substantially divested itself of research and development investment. It's trying to get most of its R & D investment through partnerships with places like us, or from acquisitions of small start-ups.... Depending on acquisitions isn't a great strategy for a state. The state needs to really invest in research. 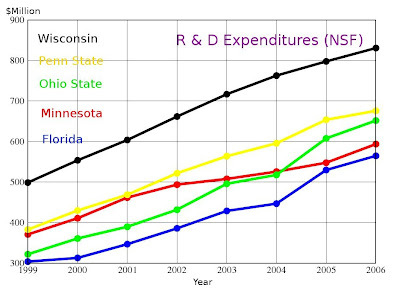 In private-public R & D, where we get money from private industries, in the Big Ten, we are slightly below average. Some of the places above us are proximate to some nice cornfields. We are in an unbelievable business culture here. What's keeping us from moving up? We found that the state of Ohio created a $500 million, 10-year investment pool to match research partnerships with private industries at their universities. Ohio State's private-funded research more than doubled in two years, and they went from roughly our position to the top of the Big Ten. Now these businesses are saying, we can really push for R & D in areas of innovation in our industry. Then you create the synergy that generates the next best idea. Our approach to that in Minnesota was, we passed a $2.5 million bill which required a special entity to go out and raise more money. It was the tin cup model. It didn't work. If you want to say "no new taxes," that's fine. I don't believe in it. I think it's bad public policy to take options off the table that can be used to solve a problem. But then at least, stick your neck out and reform the (tax) system.... We have a flawed sales tax system. I've said since 1990, we ought to put the sales tax on clothing, and then make sure the state funded more of K-12 education, rather than the local level, so you can at least maintain educational equity. Question: The state budget is in trouble again. When that happened in 2003, your response seemed to be, "We'll take our share of the cuts." Will you do that again? You can do [major spending cuts] maybe once. You can't do it over and over again, unless you want to be totally committed to mediocrity. We were once 29th in per capita income, in 1959. Why would we want to be that kind of a state again? The future of an important Minnesota industry is at stake. Governors and legislators are often faulted for not seeing, or thinking, past the next election. Next session, the University of Minnesota will give this state's political leaders a great opportunity to prove that accusation wrong. Bless the U’s Administration, always giving the state’s politicians the opportunity to disprove the accusation that they do not think past the next election. Back for a third time [!] will be a proposal to give the university preliminary approval and create a greased-skids [!] bonding process for the construction of four major bioscience research buildings, to be built in a cluster near the new Gophers football stadium over the next decade. The total price tag: $233 million, over eight to 10 years. Hmm… As I recall that is less than the price of the new stadium? Apparently that had a higher priority than this wonderful opportunity to prevent Medical Alley from becoming a back alley? Certainly paying working stiffs a living wage wasn’t a priority either last year, but I digress. In that proposal lies Minnesota's best hope to preserve and expand on the biosciences industry that emerged in the late 20th century as an economic powerhouse for this state. The industry's future is highly dependent on a steady output of discovery by University of Minnesota researchers. Without that intellectual fuel, Minnesota's medical alley could become a back alley; with it, Minnesota can be a winner in the 21st century's global economic competition. Now is this biosciences we are funding, or the design of medical devices, or… Seems like a close examination is in order of what it is, exactly, that we are trying to do. How many Bakken chairs of biomedical engineering have we had? Why is it that we did so poorly in extracting money from the Whitaker Foundation before it spent itself out of business? As far as I can tell, we don’t really have much of a biosciences industry in the Twin Cities. 3M Pharmaceuticals has just folded. The U’s stem cell patent was sold to Athersys in Cleveland. Hiring the dozens of research superstars the university hopes to attract with new facilities takes more time than recruiting other faculty -- often three to five years. Being able to say now that the state is committed to building a new laboratory in 2012 or 2014 is an important recruiting tool. And what evidence is there that superstars (whatever that means) are lined up to come to Minnesota? We can’t even keep our own stars, let alone superstars. Let's see: Jonathan Ravdin, Chip Bohlen, Nigel Key, Mike Ward, Ben Liu, Jim Chelikowsky, Ed Prescott, Karin Musier-Forsythe, Ed Egelman, Paul Barbara, David Sherman, just off the top of my head. All stars or superstars; all gone. If the legislature bites on this honeycrisp, they had better be prepared to follow up with additional big bucks. Otherwise they can expect to hear: “You built us the buildings, so it is only fair that you give us the money to hire people to put in those buildings. Oh, and by the way, we are also going to need more money for expensive equipment to go in the buildings." Some years ago the University of Wisconsin deliberately contracted in size. They appear to be about 25% smaller than we are. And yet they bring in a remarkable amount of external research funding and do a demonstrably better job for their undergraduates. Maybe it is time for Minnesota to take a good look at this possibility? In the next ten years or so we are going to have a lot of retirements. The college age population in the state will also be shrinking. To use adminspeak, why don't we have a conversation about this? Of course administrators would rather not preside over shrinkage. There is more glory in expansion. Maybe their names can some day go on a new building? Possible snappy names include: The Frank Cerra Hall for Holistic Biosciences, The Bob Bruininks Biosciences Tower II, The Powell-Sullivan Interdisciplinary Biosciences Building, The Paller-Moldau-Furcht Center for Virtual Reality in Business and Medicine. The mind reels. Of course well-heeled donors would have first dibs on naming rights. A silent auction could be held. It's difficult for a large commitment of this sort to be accommodated in the Legislature's typical every-other-year bonding exercise. That process is prone to partisan hitches (witness 2004 and 2007, in which no bonding bill passed) and parochial calculations. Legislators generally aim to spread bonding money far and wide to maximize its political impact, and tend to resent and resist large requests. Which means that a good case has to be made for additional money. I’d suggest that a good case can be made for the University – one based on getting us into the top half of the BigTen. I think that citizens of the state would be sympathetic to that aspiration. The university's original proposal departed from the usual bonding process by creating a separate governing panel empowered to issue bonds from a large, pre-authorized pool. That idea was embraced by the Senate, resisted in the House and tepidly received in the governor's office. A variation on that idea has been floated in recent weeks. Rather than creating a separate panel to issue bonds as needed for each building, it would allow the Legislature itself to play that role. A simple majority vote would be required. The initial bond authorization, still sought in 2008, requires a two-thirds vote. Fortunately to be positive the first vote will require a two-thirds majority. I hope the state legislature thinks long and hard about the implications. That change ought to appeal to the senior House members who were wary of giving a new governing entity too much power. It also ought to give Gov. Tim Pawlenty reason to back the university's effort with more vigor and visibility. There likely will be no better opportunity next session for today's political leaders to set the table for tomorrow's Minnesota. Ah, thank you for your editorial opinion. Might there be better opportunities? As I understand it there is the little matter of a bridge to be built and many more to be fixed. As I understand it there is a light-rail proposal that will involve quite a bit of money, whether it involves a tunnel through the U, at grade, or circumvention. And there is a little matter of a coal-fired steam plant that the University owns and operates. Is a socially responsible world class research organization going to continue operating a coal-fired plant? Another naming opportunity might present itself. How about the Bob Bruininks Pollution Prevention Pays Power Plant? Solutions to all of these community problems are high buck and involve the University directly or indirectly. What are the thoughts of the editorial board over at the Strib on these possibly better opportunities to spend money? 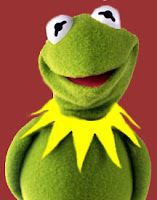 Mr. B. recently noted the reluctance of OurLeader to comment to the Daily on his position with respect to carbon neutrality on the University of Minnesota campus. University of Minnesota-Twin Cities: President Robert H. Bruininks has not made a decision about signing yet, though he has received a report on the pros and cons of the pledge from faculty and staff advisers. Deborah L. Swackhamer, interim director of the university's Institute on the Environment, says she is not sure the university could achieve climate neutrality. More than 70 percent of the university's power comes from coal, she says. The commitment also asks colleges to make climate neutrality part of the curriculum, which is not something the president can do. "The president has absolutely no control over the curriculum," which is set by faculty members, Ms. Swackhamer says. "So some of these things he would be promising to do, he can't promise." So it looks like it will cost a lot of money? Money that we don't have. The part about the president having no control over the curriculum seems a little lame. Berkeley and many other [~450] schools have signed on. How did the Berkeley president get around the faculty? They don't have a reputation for being pushovers. Tuesday's features Deborah Swackhamer, director of the University's Water Resources Center, and David Schindler, professor of ecology at the University of Alberta and Canada's most prominent freshwater expert. They will talk about how to protect the Great Lakes and other bodies of water for future generations, a mission that both see as urgent. "The biggest threats are invasive species, climate change, toxic chemical contaminants and their effects, and land use and development," says Swackhamer, who is also a professor of environmental chemistry in the U's School of Public Health. "All of these suffer from a lack of political will to address what science already can address or where science can contribute to a solution." This conversation promises to be far-reaching and candid, with no watering down of issues [sic]. Talk is remarkably cheap at BigU. 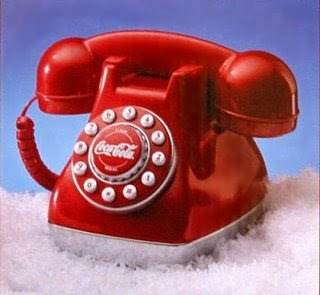 This enables Great Conversations (SM) about water with no watering down of issues. Or perhaps someone in the PR office (aka University News Service) just has a great sense of humor? For not having done the right thing in the past we are now in the position of being perceived as hypocrites on environmental issues. If I were you, I wouldn't want to rap either, Robert. But I guess that's why you get paid the big bucks. MINNEAPOLIS / ST. PAUL ( 12/14/2007 ) -- The University of Minnesota won $595 million in research expenditures and awards in 2006, the Board of Regents learned on Friday. Up from $548 million in 2005, the 8.4 percent increase represents the second highest growth rate among top public universities. The increase in research expenditures and awards moves the university from tenth to ninth among public universities, ending a stretch of several years where its growth rate lagged behind its competitors. "Obviously, one win doesn't create a winning streak, but it definitely can break a losing streak," said Vice President for Research Tim Mulcahy. "This certainly gives us reason for optimism that our strategic positioning efforts are paying off. There's a lot more work to be done to close the gap, but we're standing on better footing." Mulcahy also noted that the gap between the university's research funding level and its goal of being in the top three fell from $237 million in 2005 to $205 million in 2006. Also note the following table. 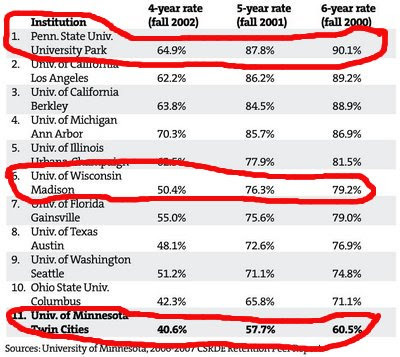 It illustrates progress over the last eight years by the U of M and some of our competition. The interested reader will note that two public institutions, Ohio State and Florida, are cleaning our clock. These are folks we will have to elbow aside in our dash toward third place. It is also noteworthy that Berkeley, Michigan, and Illinois are behind us by this supposed index of quality. Might this mean that there could be problems with this metric? Or that some institutions have had good stable funding for ten years? Or could the size of the faculty have something to do with it? One of our department chairs in the med school stated that: "75% of the ability to get funding depends on the size of the faculty." All of these are potential contributors to a complex issue. But I guess the folks in Morrill Hall are getting desperate for something to show, because most of their own data on various indices of quality show us to be near the bottom vis-a-vis our competitors. In two years will we be halfway toward our "ambitious aspiration of being one of the top three public research universities in the world [sic] ?" Not at this rate. So let's decide what it is going to take to be in the top half of the BigTen. That is perhaps a realistic goal. Be honest with the people of the state and ask them to help us with the support to achieve this goal. I don't think it is likely that citizens of Minnesota are particularly interested in the administration's top three goal. And as the state's economy heads South, they are going to be even less interested. One swallow does not a summer make, nor does one fine day. A public research university demonstrates its stature through exceptional students, exceptional faculty and staff, exceptional organization, and exceptional innovation. OurProvost, or his handlers, seems to be exceptionally fond of the word exceptional. This is ironic and indicates a lack of institutional memory, probably due to the fact that this was written by an advertising agency. The University has already been officially declared (October, 1995) an "exceptional organization," a type of NIH probation. If you repeat something often enough, often enough, the hope seems to be that people will believe it. George Orwell would smile. Or as a great philosopher once said: "Make it so, Spock." The clock is ticking. In two years we will be halfway toward our "ambitious aspiration of being one of the top three public research universities in the world[sic]." Given our current status of dead last in our self-inflicted comparison group, either a lot of work needs to be done at the University of Minnesota or our administration should come back down to earth. Or, since OurLeader is a sports fan, maybe he should be like Tubby, rather than Tim. Currently we are tied for #71 with Virginia Tech, the University of Delaware, and Michigan State [sic]. These results should be truly embarrassing to OurLeader and OurProvost. They are fair warning of an impending train wreck. Let's put some serious distance between Minnesota and Michigan State before worrying about catching up to Michigan and Berkeley. Postscript: A press release (11:00 am) has been sent out today from the University of Minnesota "News" Service. So even if we could achieve the U of M goals, target date 2012 [sic], and our competitors made no progress whatsoever during this time, we would then be in sixth place in our own self-inflicted comparison cohort of ten. However, to be realistic, our competitors will also be improving as described in an earlier post on the Red Queen Effect. Mr. B. 's realistic estimate is that we will do no better than tenth place by 2012. 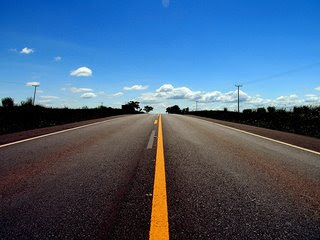 And this will happen only if we can pass the Ohio State University. Given what is going on at tOSU lately, this is not a sure bet. Gordon Gee, the peripatetic university president, is recently back from Vanderbilt and also has ambitious aspirations. tOSU recently nabbed two outstanding chemistry professors from Minnesota, while we looked at our empty wallets. I'm sure Gee can read graduation statistics as well as the next president, and knows how to game them. Besides, I understand they've got some sort of football team in Columbus? "Ambitious aspirations to be one of the top three public research universities in the world [sic]." More than 450 college presidents and chancellors across the country have signed a commitment to make their campuses more sustainable. University President Bob Bruininks is not one of them. The American College and University Presidents Climate Commitment, launched in October 2006, is essentially the Kyoto Protocol for colleges: a set of guidelines that will reduce the amount of greenhouse gas emissions from campuses across the nation. Bruininks has not yet made a decision on whether he will sign the commitment and said he would not comment for the story. Tony Cortese, a co-director for the climate commitment project, said signing the commitment gives universities a chance to be societal leaders. "The University of Minnesota has a great reputation in sustainability and has been a leader in much of the research," Cortese said. "By signing the commitment, the president would be essentially supporting the research his University has already done." Cortese said some presidents don't sign the commitment because they believe the requirements are too complicated or too expensive to execute. Jennifer Ward, a spokeswoman for the president's office of Berkley, said the school was already meeting the standards of the commitment before they signed it in March 2007. "The signing was just a formal matter of demonstrating to other folks our commitment to environmental sustainability," Ward said. "For all the points that are listed in the program, we had already been meeting them for two or three years, if not more." Todd Reubold, communications director for the Institute on the Environment, said the University isn't going to make its decision based on what other colleges are doing. "Each university system has its own uniqueness," Reubold said. "So to say just because the University of California system signed on that we automatically should, I don't think is a wise decision." Stephen Peichel, president of the student group Applied Environmental Solutions, said if the University wants to continue to promote itself as a leader in environmental sustainability, Bruininks must sign the commitment. "I can't see how the U can say that they are on the cutting edge and be a top research University without pursing one of the top issues in the world," Peichel said. Mr. Bonzo has been harping on the fact that with a situation like that described in the table above, the U of M administration should concentrate on fixing our serious problems, rather than raising the smokescreen of "ambitious aspirations to be one of the top three public research universities in the world [sic]." 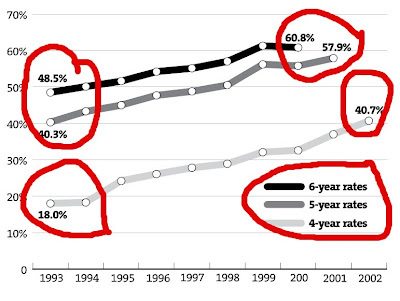 Sure our graduation rates are improving, but that is only because they were so unspeakably low in the past. Can you believe [as Maxwell Smart would say] that in 1993 our four year graduation rate was 18% and that less than 50% of our students graduated in six years? These numbers are what made Mr. B. happy to have his son attend the University of Arizona where he was a Phi Beta Kappa English major and graduated in four years. There he received an excellent education. What were U of M administrators thinking back then? Is it any wonder that many state residents don't have kindly feelings toward the U because of the way they or some friends or relatives were treated? Why don't we set as a goal getting to the middle of the BigTen? That would be ambitious aspiration enough. We should be honest about our situation at the University of Minnesota and try to get the State legislature to help us solve our real problems. "This is a work in progress," said Craig Swan, vice provost for undergraduate education. "We're not where we need to be. We have a ways to go, but we've also come a long ways." In its much-publicized quest to be an elite public research institution, Minnesota has compared itself to 10 peer universities, including Penn State, Wisconsin, Texas and Washington. Of the 11 schools, Minnesota ranks last in the percentage of students who graduate in six years or less. Eight of the other schools graduate more than half their students in four years, and all graduate more than 65 percent in five years and 70 percent in six years. In the most recent U.S. News & World Report rankings, Minnesota is tied for 71st among the top 130 national universities. The school's current five-year graduation rate (students who enrolled in 2001) is 57.9 percent, and the six-year rate (enrolled in 2000) is 60.8 percent. "The six-year rate is important because students who don't graduate in six years have a greater risk of not graduating at all," Swan said. Danette Gerald, the assistant director of higher education at the Education Trust in Washington, said that graduation rates are important not only to the schools, but to the students applying for admission. "Students want to know that they have more than a 50-50 chance of graduating in a timely manner," Gerald said. We're number seventy-one! That's a rallying cry we don't hear out of our administration. Katherine Kersten's column of Dec. 4 ("Battle for soul of St. Thomas takes a turn for the worse") was an inaccurate and slanted portrayal of the current and future Catholicity of the University of St. Thomas. First, the statement we e-mailed and faxed to her was headlined as being a "Statement of the Archdiocese of Saint Paul and Minneapolis." It came from me, not from our "spokesman." Second, and more important, Kersten used only the first sentence of my statement in her column. The other two sentences were ignored. They read as follows: "The Saint Thomas board will always include bishops or priests. Any rumors or speculation about the 'de-Catholicization of the University of Saint Thomas are ill founded, inaccurate and ludicrous.'" The editing of my statement leaves open to question her motivation in writing this one-sided and inaccurate column. Good for Harry. St. Thomas has been taking its licks lately, but there are a lot of good folks over there struggling with what it means to be a Catholic institution of higher education. Katherine Kersten is a columnist for the Strib of the, shall we say, conservative persuasion. She's there for balance, apparently. The Strib has also had its own problems lately. They've let go a lot of good newspaper people and seem really squishy and afraid to take much of a stand on anything. 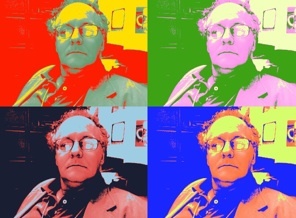 Today Par Ridder resigned from the Strib. He used to be over at the Pioneer Press, and jumped ship - along with a laptop containing, shall we say, useful information - to join the Strib. I know it is hard to believe, but that's the way it is here in the vicinity of Lake Wobegon. Every once in a while the cloud of irrationality drifts over to BigU, or the TwinCities, or the State Capitol, or the whole state. Recall that we are the folks who elected Jesse Ventura, a professional wrestler, to be governor. Of course there has always been a red phone line between the Strib editorial office and Morrill Hall [aka the U of M admin building, the one the river of money runs through] - Mr. B. has pointed out an example of this in the past, see "If You Build It, Grants Will Come." Of course there is more to it than the above paragraphs. Feel free to chime in. I just wanted anyone who dropped in from the outside world to have a little hint of what this post was about. Chancellor John D. Wiley, who has earned a reputation as a campus builder and a farsighted leader since becoming the University of Wisconsin-Madison’s chief executive in 2001, announced today (Friday, Dec. 7) that he will step down in September 2008. Wiley, 65, says the timing is right for him to step out of the chancellor’s role, which will allow his successor the time to prepare for the university’s reaccreditation and for the 2009-11 state budget. Gov. Jim Doyle praised Wiley’s achievements as the leader of the UW System’s flagship university. “A world-leading research institution that drives our economic growth, highly educated graduates ready for the jobs of the future — this is John Wiley’s legacy,” Doyle says. A significant part of the university’s success has been in the deans that have led its colleges and schools, Wiley says. Under Wiley’s leadership, the university’s research enterprise thrived. According to the National Science Foundation, UW-Madison now conducts more than $900 million worth of research annually — a substantial achievement, given the intense competition among universities for research funding and the flattening of federal and state budgets. The university’s drive to attain research breakthroughs has landed substantial grants for the university during the Wiley years. In September, the university received the largest formal grant in its history — $125 million over five years from the U.S. Department of Energy to fund the work of the Great Lakes Bioenergy Research Center. 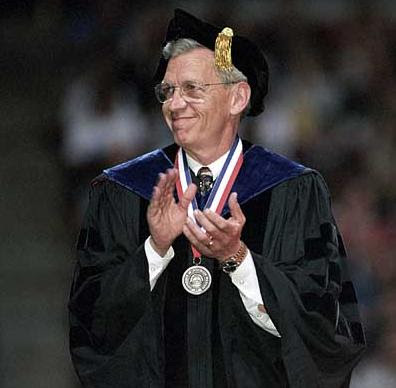 Wiley received his bachelor’s degree in physics from Indiana University in 1964. He attended graduate school at UW–Madison as a National Science Foundation Fellow, receiving master’s and doctoral degrees in physics in 1965 and 1968, respectively. He joined the technical staff of Bell Telephone Laboratories at Murray Hill, N.J., from 1968–1974, and then spent a year at the Max Planck Institute in Stuttgart, Germany, as a recipient of the Alexander von Humboldt Senior U.S. Service Award for Research and Training. Since research seems to be so important in the modern university, perhaps more scientists should go into administration? Live long and prosper, John. Wisconsin has been very fortunate to have such a talented chancellor. Good leadership does indeed make a difference and is critical for public research universities with ambitious aspirations. I have had the rare privilege of working closely with Chancellor Wiley for the past 10 years. John is an outstanding advocate and highly principled leader who has steadfastly argued for excellence, access, opportunity and transparency in higher education, as well as the historic responsibility for consistent public support of higher education. His work on behalf of the University of Wisconsin, his state and the nation stands as an inspiring legacy of achievement. The Medical College of Wisconsin announced that it has hired Dr. Jonathan Ravdin, an international leader in infectious disease, as the dean and executive vice president of the medical college starting May 5. Ravdin, a professor and chairman of the department of medicine at the University of Minnesota Medical School, is widely recognized for his research on the molecular mechanisms by which Entamoeba histolytica causes colitis and liver abscess and how humans develop an effective mucosal immune response. His work has lead to an experimental vaccine that could potentially prevent infection and eradicate the disease. Does raising funds for football help or hurt academic fundraising? Are athletic department funding problems due to "those darn women?" We've heard administrators and coaches at BigU make some strange claims related to the above questions. USA Today, which used to be criticized for its short stories, delivered its second annual survey of college football coaches' salaries Wednesday, and it's a marvelously disturbing piece of important sports journalism. 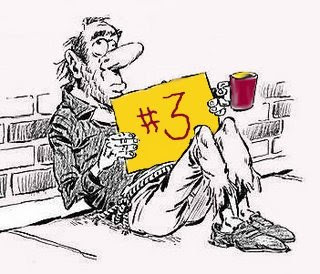 Especially in its comprehensive Web-based presentation of college coaches' pay, a reader/user can peruse rankings by conference, by salary, by just about everything, including ... and here's where we're Numero Uno — cost per victory. 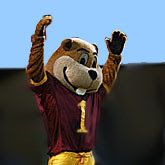 Gophers Nation garnered one victory this past season. New coach Tim Brewster pocketed $1 million: $400,000 in base pay, $400,000 for media and public relations work, and $200,000 for his pension. That one victory — over mid-major Miami of Ohio — means that Minnesota's lone "W'' was the most expensive victory in college football. It cost a cool mil to pocket one win. Worse yet, Miami's coach, Shane Montgomery, made "only" $144,225, 85 percent less than Brewster, and the lowest reported salary in Division I football. I'll also let you ponder why big-time college football coaches are paid more than college presidents and physics professors and, surely, arts profs, and know that the answer is: "That's what the market will bear." True, of course, but clearly a reflection of a twisted value in capitalism. Fact is, a very small group of college football programs actually "turn a profit," after paying out scholarships, paying debt service on facilities and sharing their TV money with their conference partners. I'll let you kick around, too, all the misdirected anger from anti-Title IX vigilantes who blast women for getting a boathouse for their rowing team or a right-sized ice rink for their hockey team and, then, go on to blame women's sports costs for the demise of men's gymnastics or wrestling or golf or track and field on many campuses. Hey, guys, it's not the women who are taking from you. It's the bloated football budgets, driven by a facilities arms race and absurd salaries and huge staffs. The Gophers football program has a dozen assistant coaches and administrators pulling down between $85,000 and $330,000 a year, at an average of $163,000 per staffer — or more than, say, the director of university's journalism school or the chairperson of its history department. But, this Journal of Sports Management study suggests the community building is not the fundraising bonanza that cash-squeezed athletic directors and pompom-waving presidents claim King Football to be. Brad Wolverton, the Chronicle's athletics expert, writing of that journal study, reports: "... Sports fund-raising success has come at a cost: While donations to the country's 119 largest athletics departments have risen significantly in recent years, overall giving to those colleges has stayed relatively flat ... Among the surveyed institutions, athletics departments brought in an increasing share of the colleges' overall donations. In 1998 athletics gifts accounted for 14.7 percent of all contributions. By 2003 sports donations had reached 26 percent." Wolverton continues: "The shift has frayed relations among fundraisers soliciting the same donors and has led to broader concerns about the growing importance of sports as overall funding for colleges has stagnated." There has long been tension between academia and athletics on campuses. Minnesota is no different. The construction of a new $288.5 million on-campus football stadium, the hiring of a new football coach at $1 million per year — and the $3.6 million buyout of fired Glen Mason's contract — the hiring of a new men's basketball coach, Tubby Smith, at nearly $2 million per season — and the $1.3 million buyout of Dan Monson's contract — raise the stakes. Sports hoopla creates emotion. But it's costly. It hands disproportionate power to coaches. And, over time, it just might be luring donors away from the core mission of universities. Think about that next time you stand up and cheer for Gopher Nation. Others have picked up on the amusing question of pay for performance. A noted sports enthusiast has posted on this topic on MoneyLaw. Mr. B. has also posted about it with respect to university presidents. We both seem to agree that there are valuable lessons to be learned by academic adminstrators from the sports field. As to the intrinsic or entertainment value of sports, I'm not so sure. De gustibus.